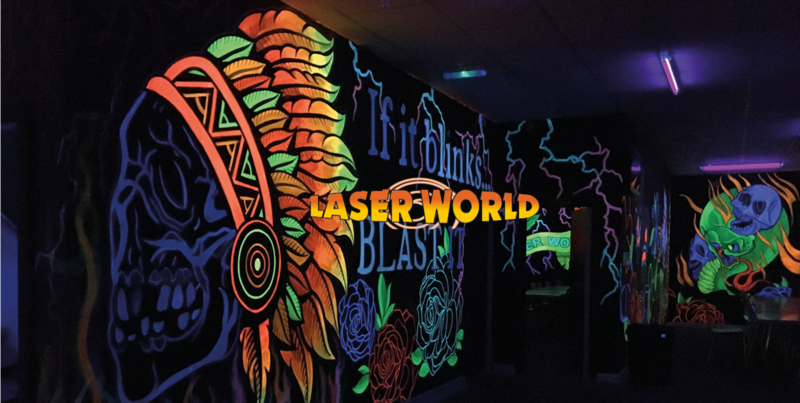 WELCOME TO LASER WORLD BEDFORD INDOOR FUN, ACTION & ADVENTURE! If you’re looking for a day out with a difference, how about indoor laser tag at Laser World? Battle it out in Bedford’s huge, professionally built, 4000 square foot, state of the art, indoor Laser Tag Arena. Ideal for customers of all ages from 7 years upwards (minimum height of 1.2metres). Great for parties, corporate events, team building exercises and even hen and stag parties or just come for an evening and have some fun with your friends. Be aware, you must be booked in before arriving. We get booked up very very quickly and it is essential you call and book before visiting as we cannot guarantee you will be able to play if you turn up without a booking. Single game prices start from just £4.30 per person. TO MAKE A BOOKING CALL: 01234 354184 OR CLICK HERE TO SEND AN ENQUIRY. During the upcoming Easter school holidays we expect to open every day between 10.00am and 4.00pm, except Bank holiday Friday and Monday when we close at 3.30pm, and Bank holiday Sunday when we are CLOSED. Or simply fill in the form below and we will contact you.